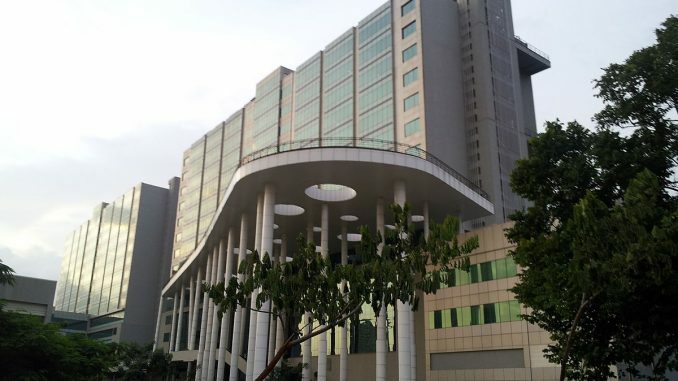 Karnataka High Court has issued a notice to Bruhat Bengaluru Mahanagara Palike (BBMP) on a PIL opposing the white-topping of South End Road, from Madhavan Park to Nettakallappa Circle via Nagasandra Circle. The order was passed by a Division Bench comprising acting Chief Justice L Narayana Swamy and Justice P S Dinesh Kumar. The PIL had been filed by A C Chandrashekar Raju and seven other residents of Basavanagudi. They had pleaded that white-topping of roads was being done unscientifically, and that the BBMP had not worked out a scientific mechanism for laying such roads. The petition also says that this stretch of road does not require white-topping. Further, such a road would lack drainage facilities for rainwater and sewerage, as it would not have culverts. If the work is done unscientifically, it would also lead to more uneven roads, says the petition. 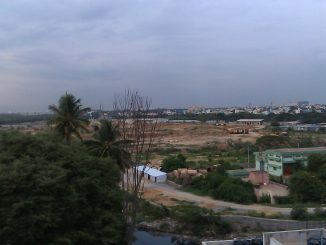 To rejuvenate Bellandur’s falling groundwater levels, residents are beginning to dig recharge wells near their houses. Seema Sharma, a resident here, said their aim was to have at least 2,500 recharge pits in Bellandur, out of the one million planned for Bengaluru. A member of the Bellandur Development Forum explained that there were around 100 apartment complexes in the area, and with recharge wells, not a drop of rainwater falling in these complexes would be wasted. The residents hope to install rainwater harvesting systems and set up recharge pits before the monsoon sets in, so as to collect and use rainwater. In a few months, the state government may redraw the boundaries of all 198 wards of BBMP. The exercise is expected to be completed before elections to the civic body in 2020. The attempt is to redraw boundaries based on population. However, most corporators, especially those representing the largest wards, prefer the redrawing to be based on ward size rather than population. The funds to develop each ward will be allocated based on whether the ward is located in a core area or a newly-added one. Wards in core areas would be given Rs 2 crore each, while those in newly-added areas would get Rs 3 crore each. Corporators emphasise that the fund allocation too should be based on size of the ward rather than population. Bengaluru continues to be the largest office market in India and the biggest in the Asia-Pacific region. About 11.6 million sqft of office space in the city was absorbed in 2018 on a net basis, taking vacated space also into account. In comparison, the office space absorbed last year in Tokyo was 7 million, Shanghai 6 million, Hong Kong 3 million and Beijing 2.5 million, according to estimates made by the property consultancy CBRE. Bengaluru has held the position of the biggest office market in Asia-Pacific for the past few years, as the city’s talent attracts global companies to set up captive technology and back-office centres here. Apart from IT companies, a number of new-age initiatives have also set up offices here. The PIL raises questions about the impact of the SEZ on environment, water table and traffic. It questions the allotment of land meant for agriculture. It appears that BBMP only seeks to get deeper into the bad books of citizens. This is another example of a decision gone wrong.